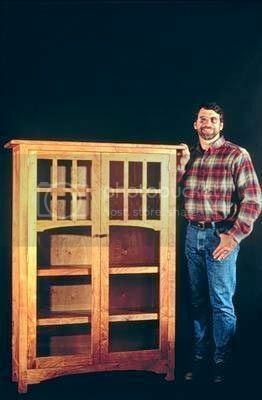 Norm's expedition to Arizona in search of Arts and Crafts-style furniture projects to build in The New Yankee Workshop leads him to Arroyo Design, a small custom furniture company in Tucson, where he spies a beautiful, glass-front bookcase inspired by the famous Greene Brothers. Featuring divided pane windows and the Greene Brothers' trademark square-peg detailing, its true artisan qualities make it one of the most sophisticated pieces in this season's collection. To ensure its heirloom value, Norm crafts this project out of mesquite and in the process educates viewers on how to work with this native Sonoran desert hardwood.